If you would like the book personalised to your name or that of a family member, friend etc. Add what you would like written in the notes section when checking out. Excellent read, funny and emotional a must for anyone who enjoys a good laugh! A great book full stories that’ll make you laugh and wonder how did Steve get away with it ! 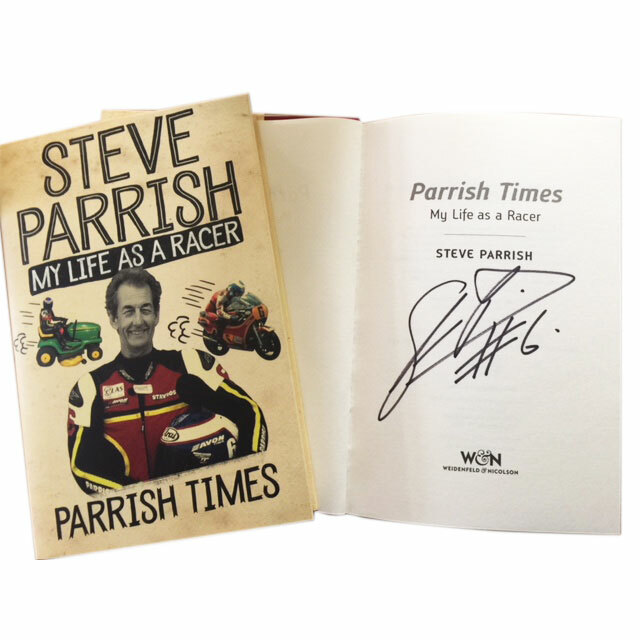 You also get a insight into the friendship Steve shared with the late great Barry Sheene. Bought this book for hubby’s 65th birthday (we used to watch Steve Parish race with Bazzer Sheen trackside / pits back in the 70s /80s …) …. my hubby Steve said it was the best pressie ever!!! Funny…. emotional.,,, brought back lots of happy memories…. value for money…. Best Buy ever!!!!! Excellent to read, funny storys. I really enjoyed it and it was nice to read that also Dave Johnson (Mushroom) is mentioned. Very funny from start till end, a typical example of “you cannot do this nowadays and stay out of jail”. You won’t die wondering !!! Highly enjoyable read from start to finish. The stories are absolutely hilarious and I was literally crying with laughter at some of them. Steve just did everything his way and I take my hat off to him for that. The tales of life on the road with Barry Sheene are hilarious. You only get one life and as Steve says, he won’t die wondering. Brilliant.